Ladies and gentlemen, we have an independent reader on our hands!!! I truly believed we would never see the day! He's been gaining in reading confidence and so we thought we'd throw a challenge his direction. We offered him a reward if he'd complete the reading of one chapter book all by himself. The book of choice? 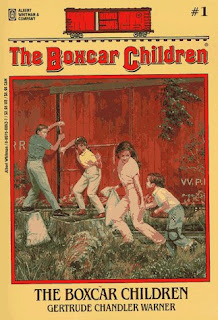 The Boxcar Children . The reward? We'd light up the fire pit (something we seldom do) and have s'mores (something we have maybe once a year, if at all). He went for it. As this is his very first chapter book to have read all by himself, I asked him a few questions in relation to the book. These were his answers. Q: Why did you read this book? A: Because you told me I had to. Q: What is hard to read, or easy to read? A: Easy and then hard and then easy. Q: What made it hard? *He was determined to finish it the first afternoon. 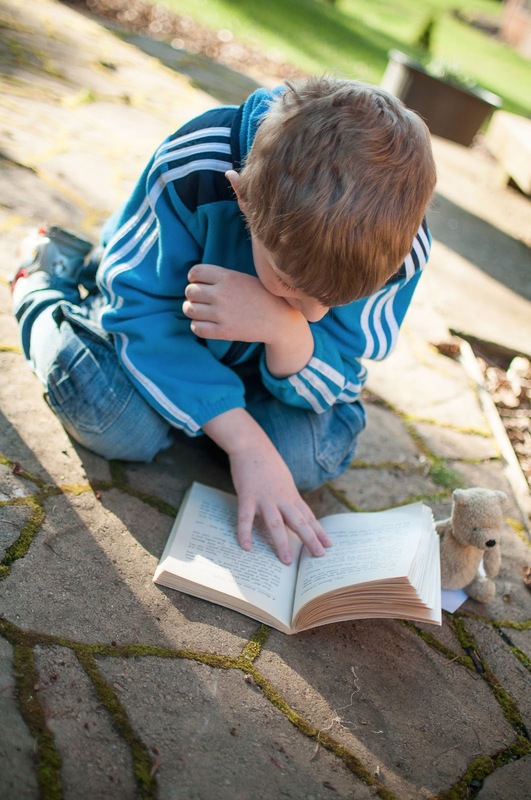 The sun was shining and I didn't want him to miss out on any rays so I sent him out in the yard to read. Apparently not the best location. Q: Who was your favorite character? A: Because he was so, so, so, so funny. Q: What was one thing that he did that was particularly funny? A: He wanted the dog so badly that he yelled that he wanted it. He didn't know it was someone else's dog and he really wanted it. Q: What was the scariest part of the book? A: There were no scary parts. Q: Did they stay living in the boxcar forever? A: No, they moved in with their Grandfather. Q: Did they want to find their grandfather? A: No, they thought he was dead. They were surprised when they discovered him. Q: Would you read another Boxcar Children book? A: Maybe yes, another one. Q: What do you like to find in books? What things make you like them? A: Happy things. Exciting things. This was not an exciting book, but I liked it! Upon coming back in the house after making our s'mores he told me that he'd like to read the second book (which I gave to him immediately, of course) and that he thought it was cool that in the first book, "Benny learns to read just like me!" Also, he and daddy wrote words using some of the burnt end of sticks which is how the siblings teach Benny to read in the book. All in all it was a very fun experience but I'm not sure who enjoyed his reading of the book more, him or his parents. Perhaps his parents, who are doing The Dance of Joy! Congratulations to all! It's neat you did some of the activities in the book, too. I well remember my childhood years when my nose was constantly in a book and Mom would order me outside where I continued reading. Congratulations to Bookworm 1--may he enjoy all that reading opens up to him. I had read The Boxcar Children when I just started out reading by myself. To this day, it's still a favorite. Oh! yes... I meant to tell you... I have added your blog onto my blogroll. So, you may be getting more people showing up to read your blog than before. My blog? My Reading List. Wonderful! So cool to open up a new world to an "independent reader"! 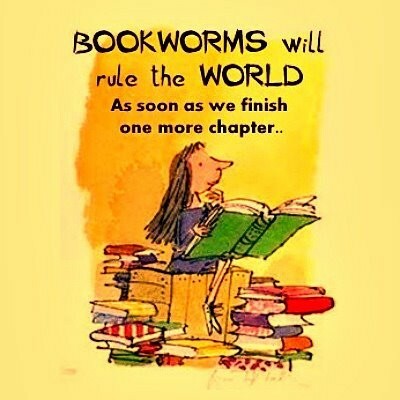 Hurray for Bookworm!! That is exciting!! How fun! Apparently The Boxcar series was one of John's childhood favorites too.